I was finally able to see him this weekend and he explained to him my symptoms....and then he said the infamous words "Scoot down" (my ladies know what I talking about haha). "A CA 125 test measures the amount of the protein CA 125 (cancer antigen 125) in your blood. A CA 125 test may be used to monitor certain cancers during and after treatment. 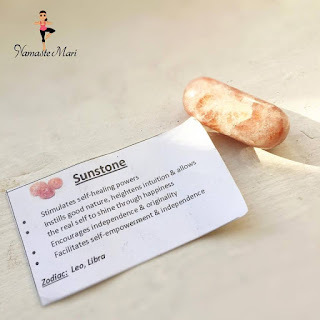 In some cases, a CA 125 test may be used to look for early signs of ovarian cancer in women with a very high risk of the disease"
"Sunstone: Stimulated self healing powers"